The Ultimate Wedding Planning Party: Register with The Sydney Wedding Registry by 31 July and you will get a Global Synergy Knife Block Set! 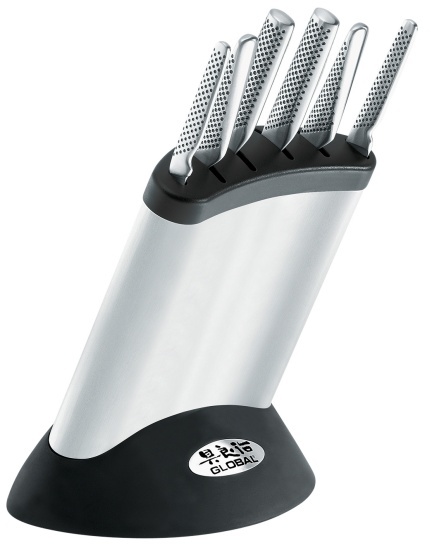 Register with The Sydney Wedding Registry by 31 July and you will get a Global Synergy Knife Block Set! The Sydney Wedding Registry is proud to offer this fantastic promotional offer to the brides and grooms to be. Simply create your gift registry with The Sydney Wedding Registry between 1 July and 31 July 2011 (inclusive) and they will give you a Global Synergy Knife Block Set, valued at $749. Global knives are loved by home cooks and professional chefs around the world. Made in Japan to the highest quality standards, Global blades feature a unique profile, designed to slice cleanly using very little force, and with minimal food sticking to the blade. And unlike some knives, the handles are comfortable for both men and women. So this set of 6 knives makes the perfect wedding gift from us to you. A couple must have a minimum of $5000 spent by their guests on gifts and or/gift vouchers to be eligible. Signup date must be between 1 July 2011 and 31 July 2011 inclusive. The Global Knife Block Set will be delivered to each eligible couple after the wedding, together with other gifts.